Hey everyone! I've seen so many adorable candy corn manis lately, and I've been dying to create my own variation! So I went with water marbling!! I started off with two coats of OPI My Boyfriend Scales Walls, which we all know is my hands down favorite white, because of it's grey undertone. 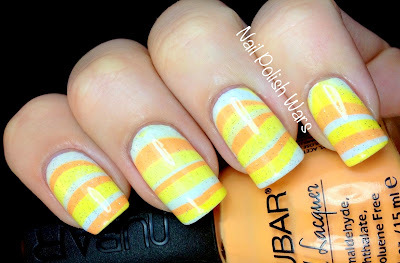 For the marbling, I used OPI My Boyfriend Scales Walls, Sally Hansen Mellow Yellow 360, and Nubar Orange Cream. To avoid the typical swoops and loops in water marbling, I dragged my orange stick from the center of the polish drops down toward the edge of the cup, until I was left with a ring of little hill shaped patterns. 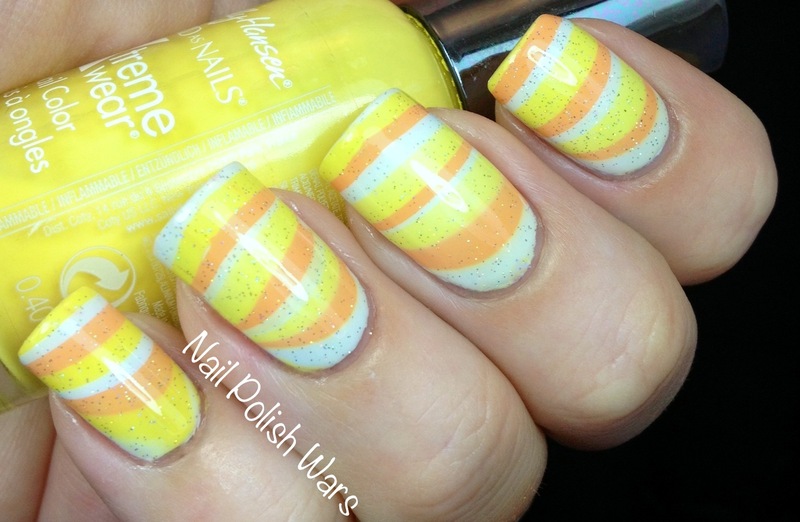 This way, I was able to keep the striped look of candy corn. For a little sparkle, I added one coat of Out the Door Northern Lights Hologram top coat. It's very subtle and pretty!! I added one coat of SV over that, because I had a tiny bit of texture from the Northern Lights. 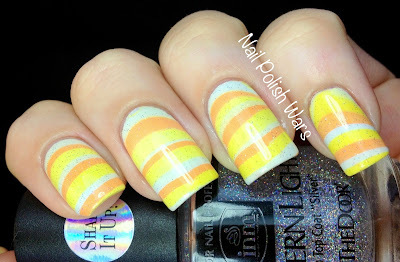 I hope you all enjoy my take on candy corn as much as I do!!! Awesome! 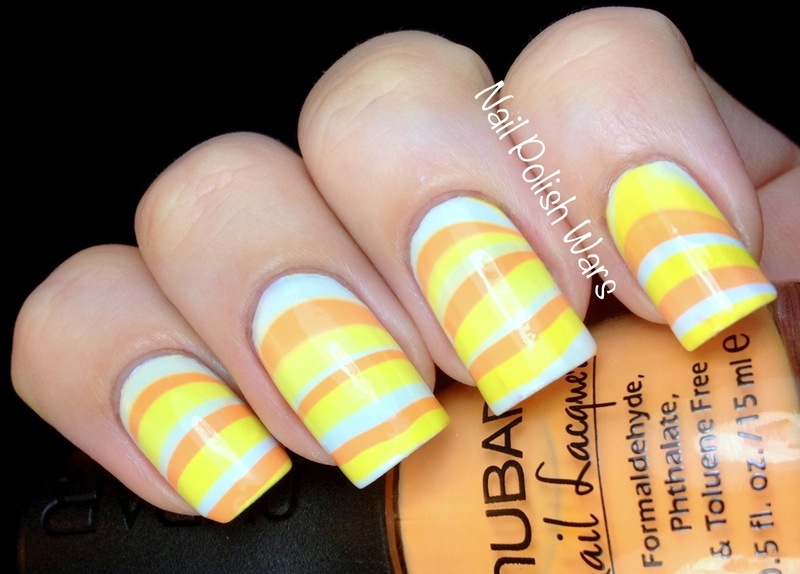 I like the twist on the traditional candy corn mani. Super pretty!! I love it!! I really like your version of candy corn. It's very pretty! This looks awesome! I love it!!! I kinda wanna eat those :-/ Yum!